I don’t know about you but I am loving these weekly meal plans. I find it gets so frustrating figuring out what to eat each day and seeing suggestions for the week makes life so much easier. 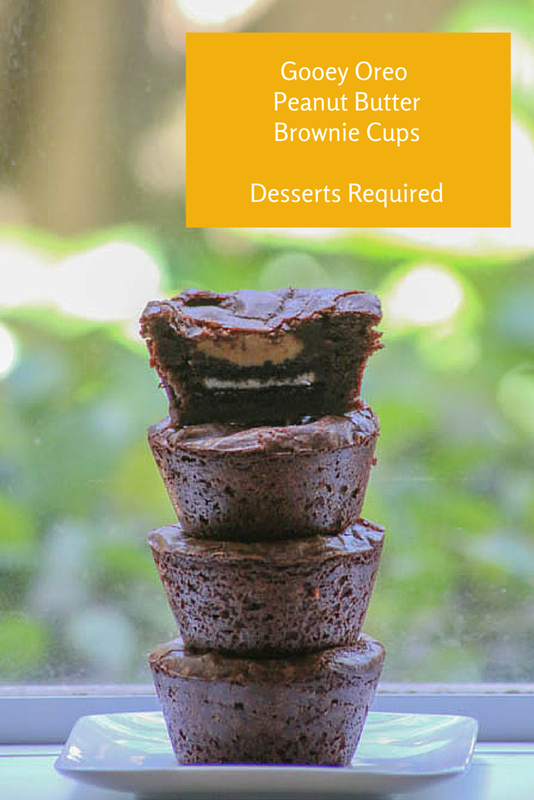 My recommendation this week is Gooey Oreo Peanut Butter Brownie Cups. 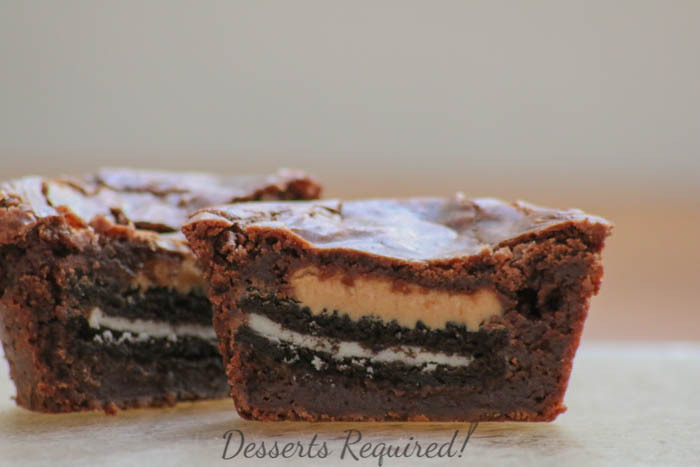 There is something incredibly decadent about putting an oreo cookie and peanut butter in the middle of a brownie cup. Whether you bite into yours or cut it in half, the view is going to get lots of oohs and aahs. Weekly Meal Plan #2 is ready to be served! Desserts Required whipped up these ah-mazing Gooey Oreo Peanut Butter Brownie Cups, and I can’t get enough! If you love a hot breakfast, but don’t have a lot of time, try this Slow Cooker Blueberry French Toast from My Fearless Kitchen. It’s perfect for breakfast or dinner! Make this Balsamic Beef Roast from Kimmi’s Dairyland on Monday, and you’ll have leftovers for lunches! Make this Easy Sloppy Joe Casserole from Organized Island when you need a fast meal on a busy school night. Bump up your veggies with this delicious Baked Eggplant Parmesan from The Crumby Cupcake. Toss these Balsamic-BBQ Pork Chops from My Fearless Kitchen in the oven for a quick meal that’s packed with flavor. Make Friday night pizza night with this Buffalo Chicken Pizza from Mom’s Messy Miracles. Take the weekend off, enjoy your leftovers, or eat out. We’ll be testing more recipes for you in our own kitchens!